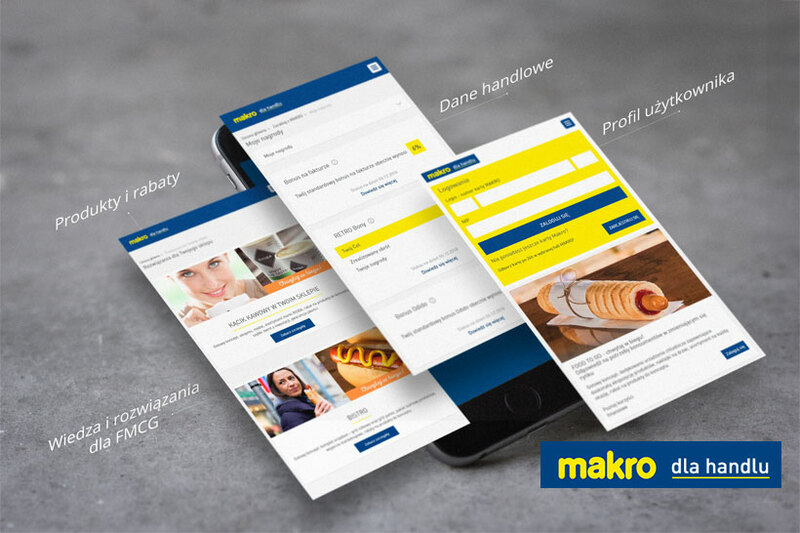 A commerce platform (B2B) addressed to the customers of MAKRO Cash & Carry in Poland (part of the Metro AG Group).We have integrated commercial data, information on products and partner programs, store solutions and news in the industry. 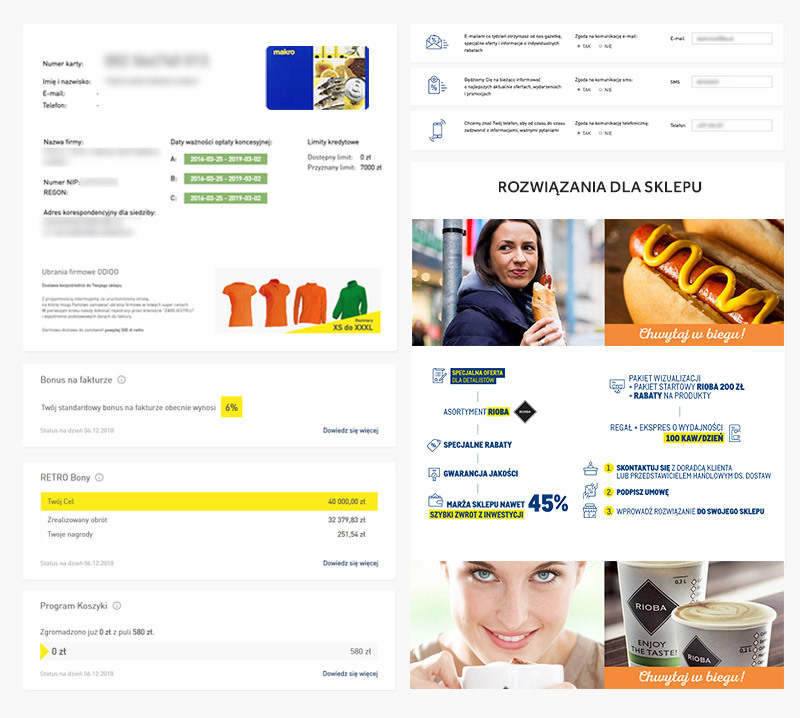 Thanks to the interface, the user can manage the consents to communicate (e-mail, SMS, telephone contact, e-newsletters), directly contact his or her Consultant, download marketing tools (for an Odido store), and use the "e-wholesale" system to place an order. The portal is a response to the advancing trends in the FMCG industry, as users expect consistent solutions in terms of both communication and functional solutions. And what is most important – the solutions should always be at hand. The platform is a kind of aggregate whose content and functionality is gradually being developed. Today, Makro customers can already choose the items on sale out of thousands of products. If you want to open your store in the Odido model, it is very simple. The necessary knowledge and contact with a consultant are always at hand. Grupa Transportowa Sp. z o.o. is a transport and logistics company that has chosen VISUAL for image-building on the internet.